Happy Monday! 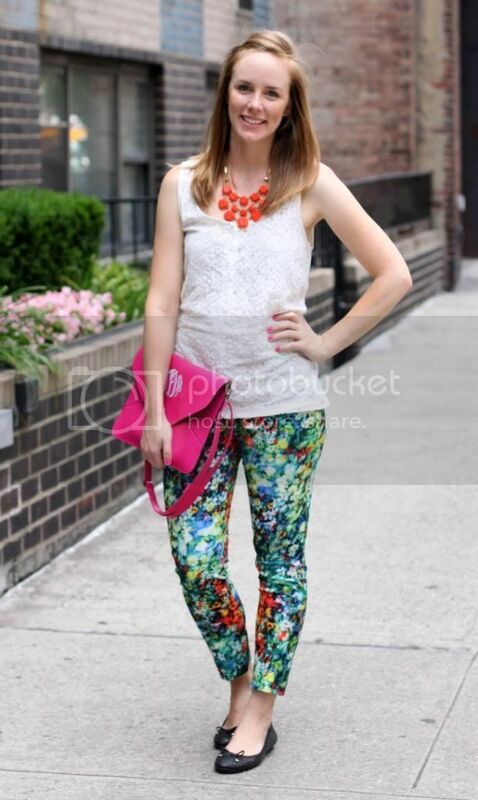 It has been scorching hot in NYC and also ridiculously humid. I'm definitely not used to it since I grew up with the dry heat, so needless to say, yesterday's outfit photos were a bit of a struggle (hence the pulled back bangs). I digress. 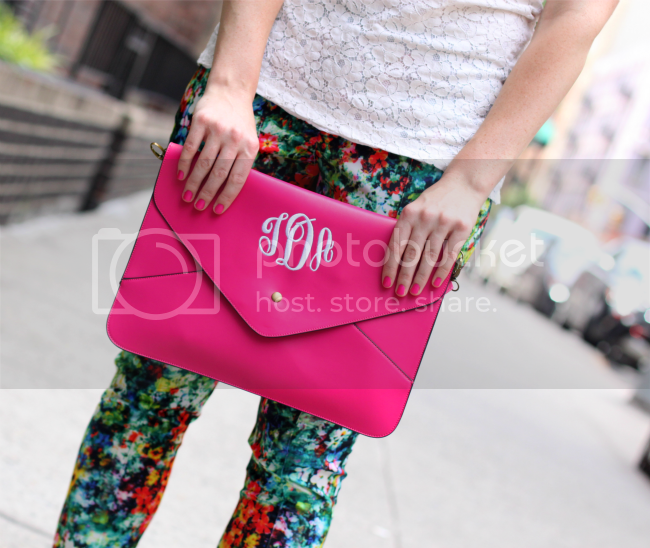 Today's post is really all about my new Marley Lilly monogram clutch. Lately I've been gravitating toward oversize clutches (see here and here) and I especially love this newest edition to my accessory collection. It's large enough to hold everything I need for a night out or running errands and it has a wrist strap as well as along strap (think cross body or shoulder bag!). Super versatile! The color is perfect (I don't know why I always gravitate to this shade of pink), I love the large monogram and the quality is really good. 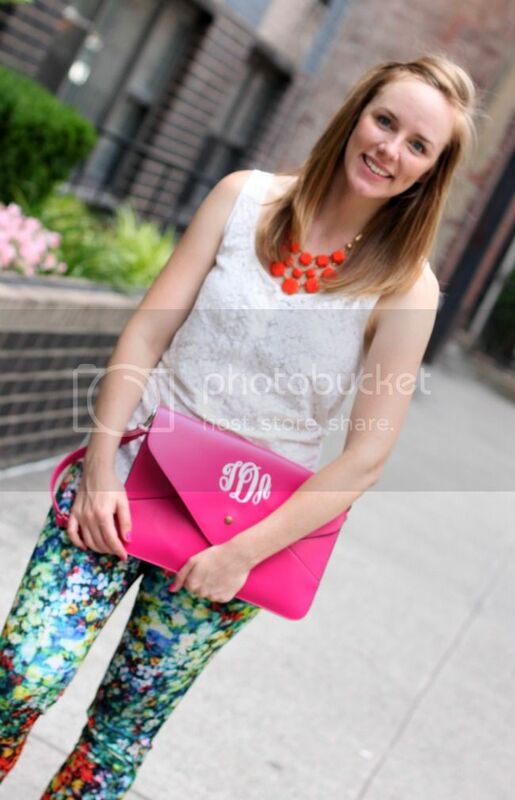 Marley Lilly has so many amazing monogrammed items - I ordered a friends wedding gift from the site last year. Can we talk about some of the super cute things on their site like the monogrammed beach hats, running shorts and this weekender bag?! 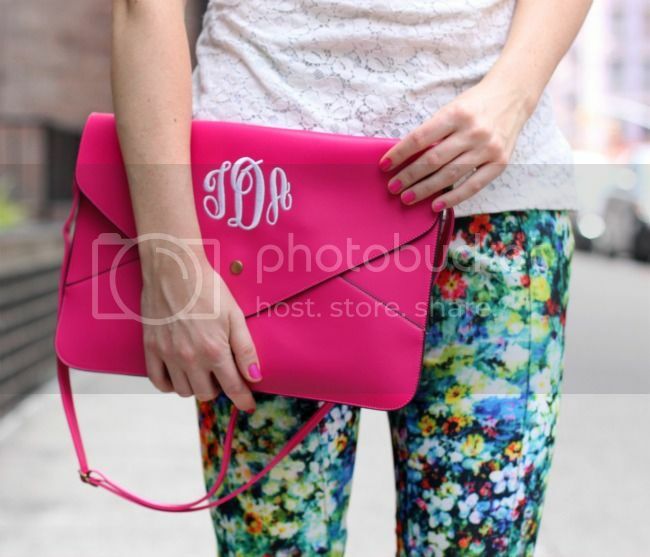 A girl with a monogram weakness could go nuts on this site! And everything is super affordable, which is even better (I'm sure my wallet will beg to differ). Be sure to check out Marley Lilly for lots of monogram goodness!